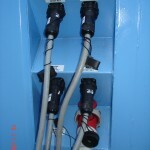 Our products are used in many industries and nothing pleases us more than seeing our connectors in action. If you have any photographs you would like to share with us, we would love to see them. Please ensure you have the owners permission first. Email: sales@ceep.co.uk. 19 Pin Lighting Connectors – Why us? What makes our 19 pin lighting connectors so different from others? 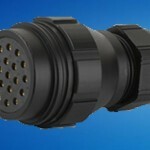 Well, firstly we’ve been supplying connectors into the entertainment industry now for over 20 years. Our connectors have been proven to withstand the test of time and are renowned for their reliability and great quality. Our contacts are not only gold plated but have the additional benefit of an added spring, allowing the contact to retain its shape and performance much longer than others. Our keyed insulators are made of solid PPS plastic and are firmly held into place by a sprung loaded retaining clip. With a tough mono piece aluminium alloy shell and a hard non conductive, non corrosive coating, these connectors have been designed to last and can withstand the toughest of environments. Fully compatible with all other leading brands including Socapex’s SL419 these are the ideal choice for many. Contact us today for a competitive quotation.